The quest that rewards this pet is deep within the Nazmir storyline. It is part of the 'Everything Contained' quest chain. Refer to The Dark Heart of Nazmir for all main storylines in Nazmir. Charges at the enemy, dealing 630 Humanoid damage. 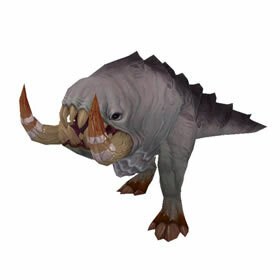 I also want to know if it is a Horde only pet. Is this a Horde only quest/pet? This young crawgling was rescued from a vicious blood troll war camp. With care, and lots of feeding, you earned his trust and Krag'wa asked you to take care of him always.